There are no comments for General Douglas Macarthur. Click here to post the first comment. 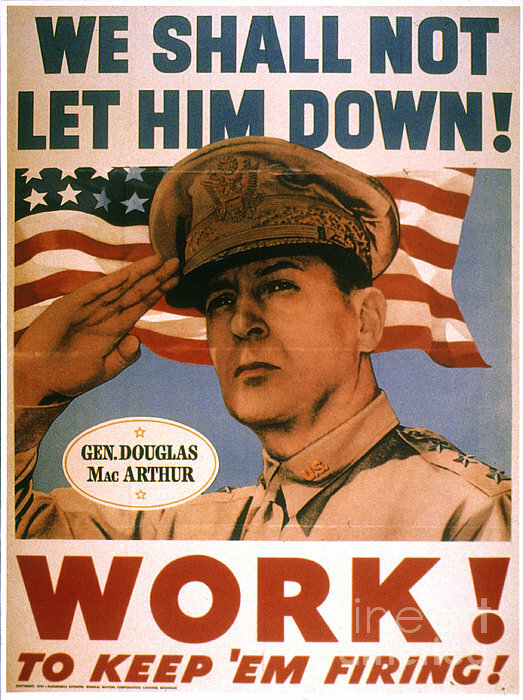 GENERAL DOUGLAS MacARTHUR (1880-1964). 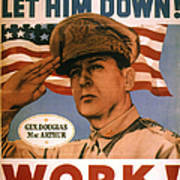 'We shall not let him down! Work! 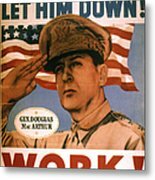 To keep 'em firing!' 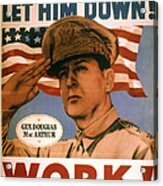 General Douglas MacArthur on a U.S. World War II poster encouraging civilian workforce to support troops.